The Firefighter and I are not very big on Valentine’s Day. We never really go over the top gift-wise and generally opt to do something at home for dinner versus going out to a restaurant with a prix fix menu. Though truthfully we’ve never really had the option to celebrate that way – this year is the first time in our dating history that we are even in the same state on Valentine’s Day. Hooray for small victories! One of my favorite things about the holiday’s is taking part in traditions. 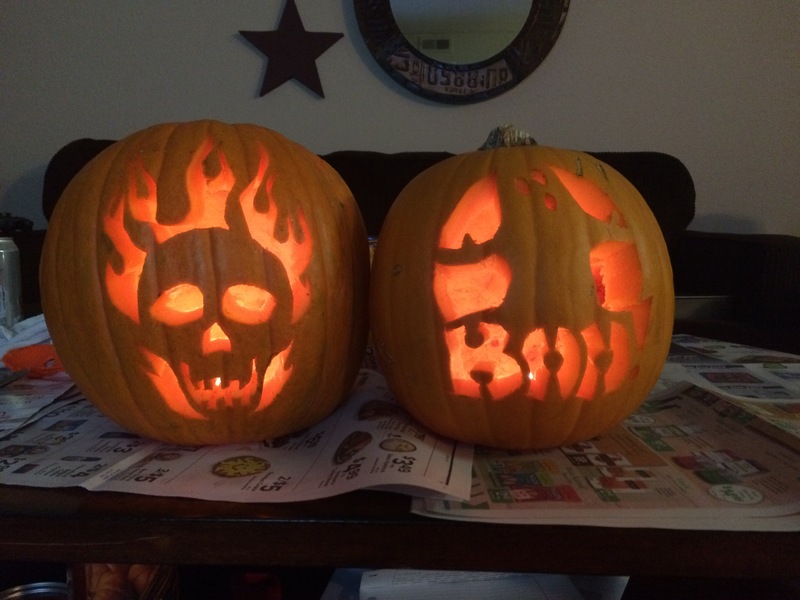 I don’t think I’ve carved a pumpkin since high school. I wasn’t able to carve one last year due to a ton of traveling in October/November, so it was very high on my list to do this year now that I have a job that keeps me local. Since the Royals made the World Series playoffs, my pumpkin carving date with the Firefighter turned into a watch the Royals and carve our pumpkins date. For not having carved a pumpkin in close to 10 years (a mind blowing statement right there), I think I did a pretty damn good job. 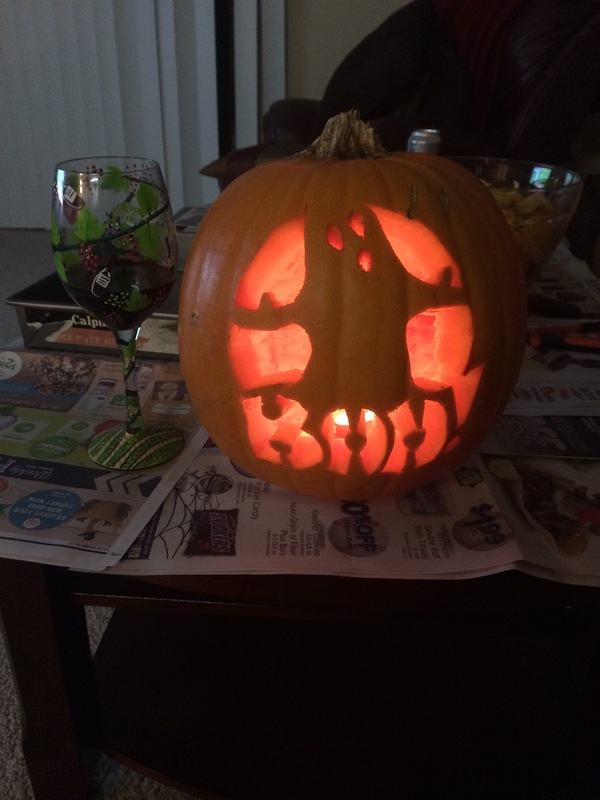 And yes, I’m pretty sure the wine helped with my carving abilities :). Like with most people who are in relationships with people who work non-traditional schedules, the Firefighter and I haven’t seen much of each other the last week or so. Last weekend in particular I did not get to see him much between his regular shifts and overtime. With the few hours we had together, I wanted to do something relaxing, but fun.